Fluorescence labelling has become increasingly popular as a viable alternative to radiolabelling for producing materials for a variety of binding and enzyme assays, including fluorescence polarisation and FRET pair techniques. This is partly a result of a desire to move away from using radioactive isotopes but has also been driven by some inherent advantages of fluorescence tags: higher stability, improved spatial resolution, ease of detection. CRB has extensive expertise in the synthesis of fluorescentlly-labelled peptides and antibodies. Fluorescently-labelled PNA can also be supplied via our partner Panagene. Fluorescent tags are commonly introduced onto amino groups (via a carboxyl or isothiocyanate group of a tag) or onto thiol groups (via a maleimide or iodoacetyl function of the tag) of peptides, antibody or PNA. Alternatively, in the case of peptides, fluorescent labelled amino acids can be incorporated during the solid phase synthesis. 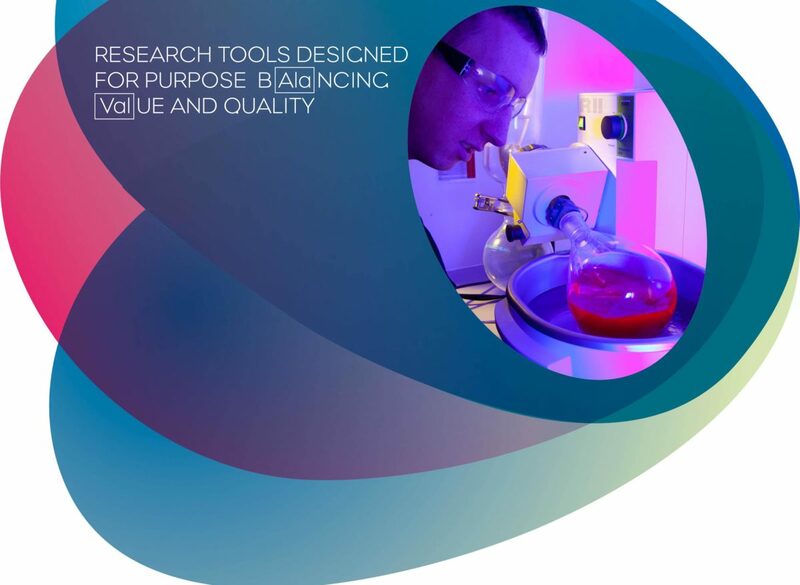 With licenses from leading manufacturers such as Life Technologies (Molecular Probes), GE Healthcare (Amersham Biosciences), Licor Biosciences, Biosearch Technologies, Cyanagen and Atto-Tec, we have the largest selection of dyes available for peptide, protein or antibody labelling of any company in the world, enabling us to offer the best dye for your particular application. We are particularly proud to offer peptides labelled with Cyanagen‘s Chromis dyes. These dyes have excellent stability, are available in cationic, anionic and zwitterionic forms with a wide range of reactive functionalities, covering the emission spectrum from 400 to 850 nm. They represent a cost-effective alternative to other proprietary dyes as they can be used without royalty payments. More recently, Lumiprobe’s source of Sulfo-Cyanine analogues and Click reactive dyes offer a cost-effective alternative to Cy3,5 and 7 for example. CRB is happy to advise on the design of fluorescently-labelled peptides and in the selection of the most appropriate dye for your application. For further information on peptide design or on the range of dyes available please use our on-line dye selector, which provides a list of suitable dyes matching your desired wavelength and the necessary technical data to enable you to select the optimum dye for your application.